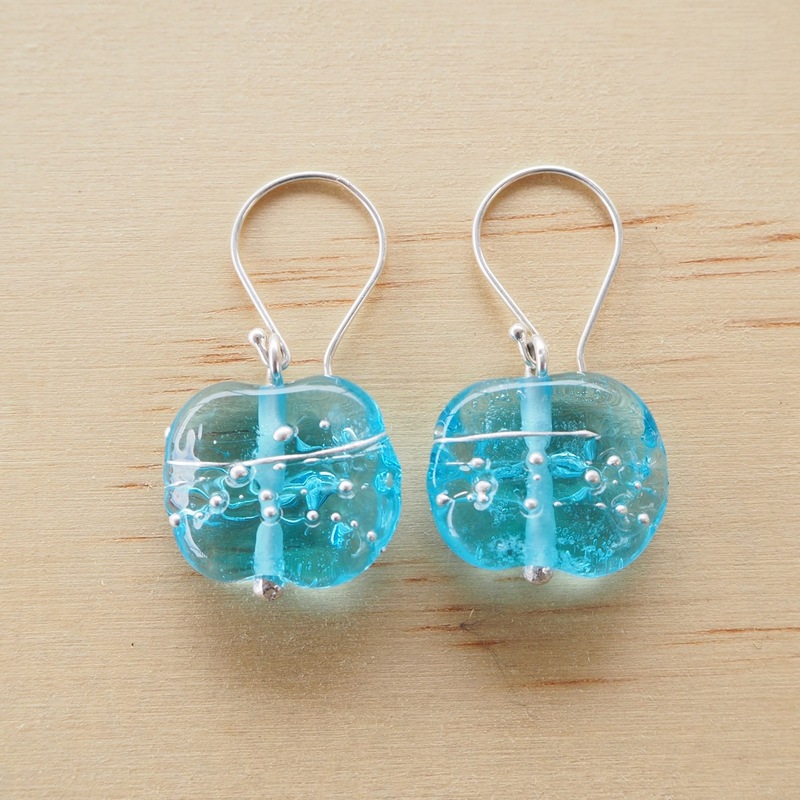 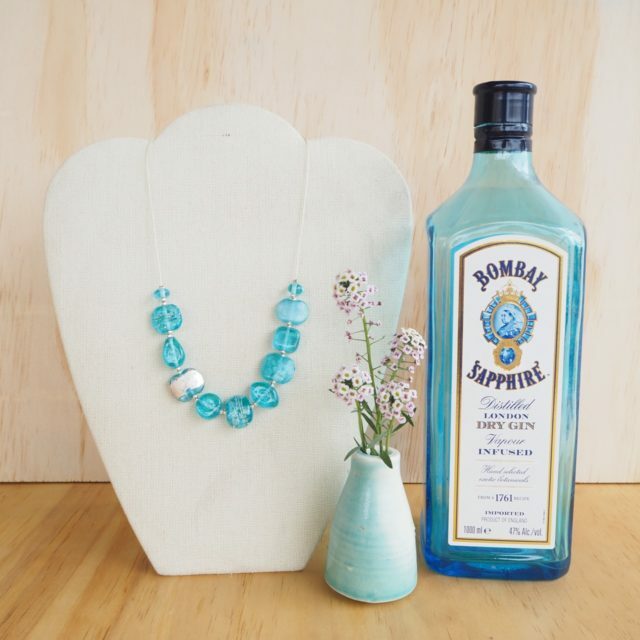 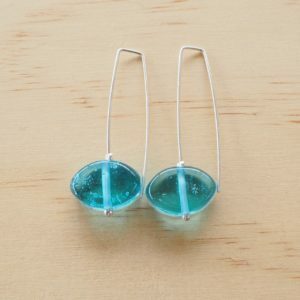 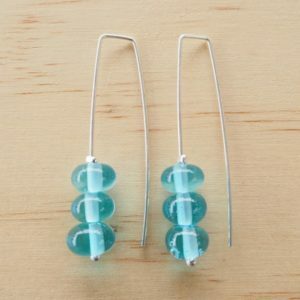 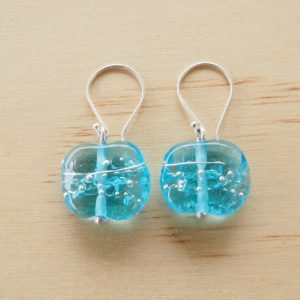 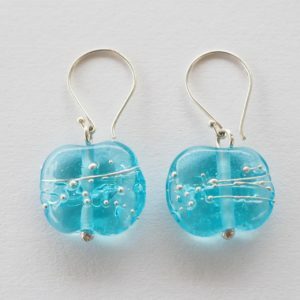 The beads in this pair of earrings have been made from a Bombay Sapphire Gin bottle! 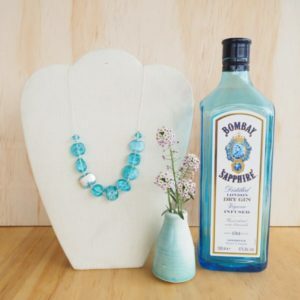 Such a great colour. 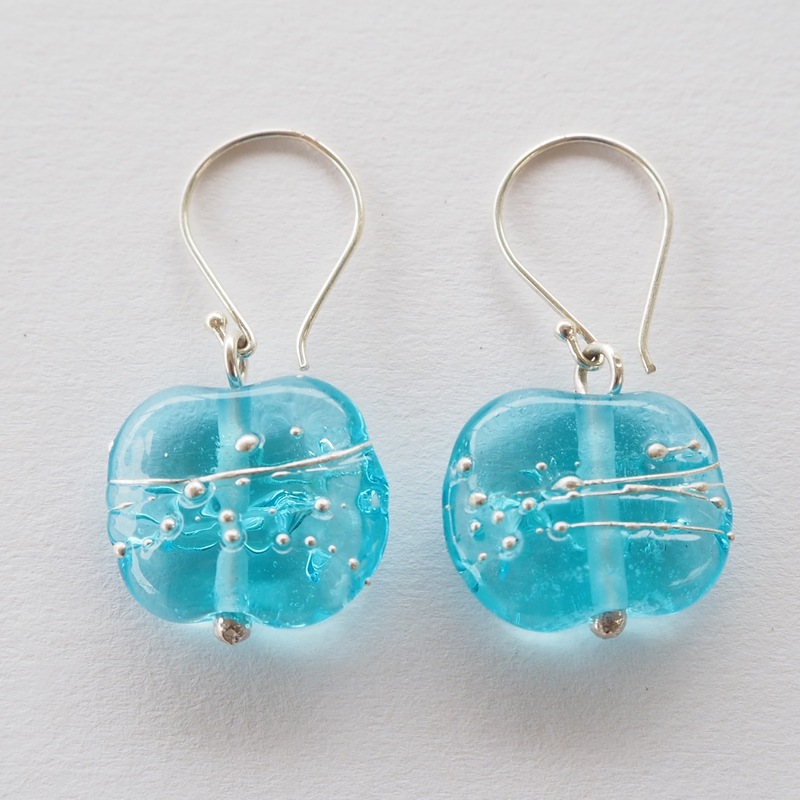 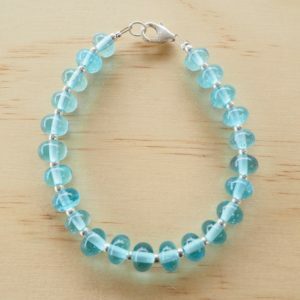 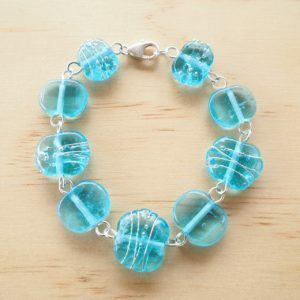 The fine silver wire wrapped around the bead makes them extra sparkly.